Rich Lyons is a Professor of Finance at the Haas School of Business, where he served as dean from 2008 to 2018 and acting dean from 2004 to 2005. As dean, Lyons' led a sweeping culture initiative that drove the school's historic strengths more deeply into admissions and other critical processes with a set of four Defining Leadership Principles: Question the Status Quo, Confidence Without Attitude, Students Always, and Beyond Yourself. He oversaw the development of Connie & Kevin Chou Hall—a new academic building funded entirely by alumni and friends—as well as attracting eight of the 10 largest gifts in school history. Lyons forged stronger ties with other UC Berkeley colleges and departments with a focus on dual degree programs combining business with STEM fields, including the new Management, Entrepreneurship, and Technology program with Berkeley Engineering. 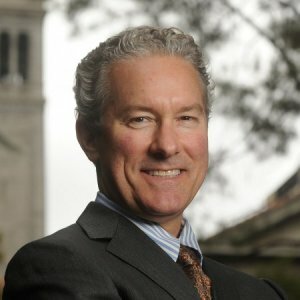 In 2018, he was awarded with the Berkeley Citation, given to individuals whose contributions to UC Berkeley go beyond the call of duty and whose achievements exceed the standards of excellence in their fields. Lyons also received Berkeley’s highest teaching honor in 1998. Lyons' research and teaching are mostly in international finance, though his more recent work explores how business leadership drives innovation and the importance of culture in shaping organizations. 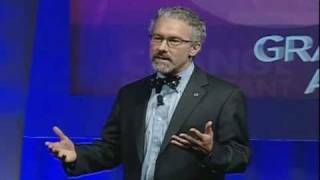 From 2006 to 2008, he took a leave from Berkeley to serve as Goldman Sachs' Chief Learning Officer, focusing on leadership development for managing directors. Prior to joining the faculty at UC Berkeley in 1993, he was an assistant professor at Columbia Business School. He received his BS in finance from Berkeley and PhD in economics from MIT. 1987, Summer Intern, Board of Governors of the Federal Reserve System, Washington D.C. 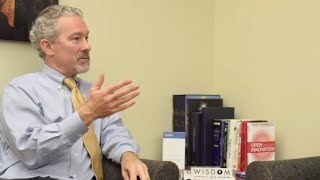 This collection of interviews from "the best and brightest business leaders" includes one with Dean Rich Lyons. Dean Rich Lyons called his job as dean "the most fulfilling job I’ve ever had in my life." There is no doubt that Berkeley Haas stands alone among b-schools in consciously defining and shaping a strong culture. According to Poets & Quants, Dean Rich Lyons was instrumental in clarifying the defining principles and making them integral to everything that happens at the school. We asked those questions of Rich Lyons, who has been in an ideal position to observe changes in the education market during the 11 years that he has served as dean of the Haas School of Business at the University of California, Berkeley. Lyons, who plans to step down later this year to return to the faculty at Haas, acknowledges that to stay relevant in the future, schools will need to take advantage of the innovations offered by the latest edtech. Rich Lyons writes that allegations of sexual harassment and assault against Harvey Weinstein — quietly discussed for years and finally made public by a group of courageous women — have broken open a critical conversation about gender inequity. We know this problem isn’t confined to Hollywood. We’ve seen headlines in tech and media. More widely, we may have the unsettling sense that unequal treatment is pervasive in our own companies and boardrooms. Company leaders often respond to potential disruption with a scramble to overhaul their business. A recent article in the Wall Street Journal argues that’s wrong. Short-term and scattered measures don’t last, say Paul Leinwand of PwC and Cesare Mainardi of Northwestern’s Kellogg School of Management. “In these reactive responses the company leaders avoid the difficult work of developing a better strategy and making the fundamental changes that are needed to build real competitive advantage,” they write. Incoming freshman Shefali Das belted a rendition of the national anthem, while another student, Luis Maurer, sang a track from “Hamilton.” Chancellor Carol Christ conducted a performance by University of California Marching Band. 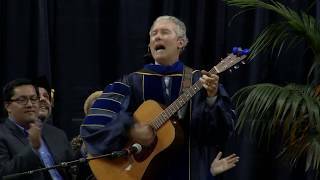 And Haas School of Business Dean Richard Lyons strummed a guitar to the tune of “Bare Necessities” to the roars of audience members.